Machine Learning Training in Chennai,at Credo Systemz offers extensive courses to learn the statistical methods used in Artificial Intelligence technology stream. Being ranked amongst the top training institutes for Artificial Intelligence and Machine Learning Course in Chennai, we provide the Machine Learning training with Python and R Programming. Machine Learning is about data and algorithms, but predominately data. Since Machine and Artificial Intelligence is ruling every industry, it’s the exact time for you to equip and train yourself on the most demanded skill of Machine Learning. Join our best Machine Learning Training Institute in Chennai Velachery, OMR , take a career leap in Machine Learning, Data Analytics, Artificial Intelligence and much more. Machine learning is a part of Artificial Intelligence that allows the systems to learn automatically and work better from experience without being programmed. Machine learning algorithms simply focus on computer applications such as detection of network intruders, email filtering and computer vision where it is inapplicable to develop an algorithm of certain instructions for performing the task. It is related to computational statistics that focus on making a prediction using computers.For example, you post a photo and immediately you are given suggestions on whom to tag in the photo.And this easing out most of the day to day activities, Now-a-days, Machine Learning is one of the greatest in-demand technologies budding in the computer industry.You can refer the detailed Machine Learning Course Content below and also can reach us to know more about the Machine Learning course. Skills you’ll gain from this Machine Learning Course? Master in Supervised and Unsupervised learning concepts and Modeling. Gain knowledge of the mathematical and aspects of machine learning. Understand the operations of Support vector machines, linear regression, decision tree, K-nearest neighbors and K means clustering. Attain practical mastery over the Principles, algorithms and machine learning application. 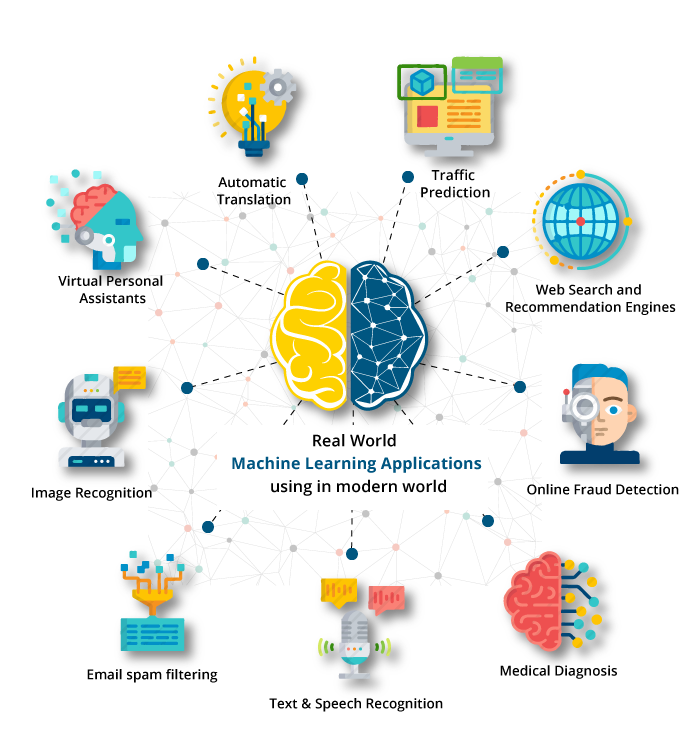 Machine learning plays a major role in today's world, A pictorial representation of few machine learning applications given below that we use in our everyday lives. Strong Knowledge of the mathematical and heuristic aspects of Machine Learning. Master in the concepts of supervised, unsupervised, reinforcement modeling and machine learning concepts. Automate data analysis using Python. Good knowledge in theoretically and as well as how to relate with the practical aspects of Machine Learning. Working with a wide variety model of robust machine learning algorithms which including clustering, deep learning and recommendation systems. Be able to analyze the data in various scenarios using Machine learning algorithm. Expertise to handle the business in the future. During the course, candidates are inculpated in assignments to provide the real-time exposure, to support them to acquire the confidence to work in real-world industry project. Learn Machine learning training from our Experts and become a Certified Machine Learning Professional. Machine learning course curriculum which matches the current industry standards. Hands-on practical assignments which can be showcased to recruiters. Each and every algorithm is handled with real time scenario. 24/7 support for the candidates in Whatsapp. After Machine learning course completion, your skills will be examines equal to six months of an experienced employee. Credo Systemz is named as the best institute for Machine Learning in Chennai because of our professional training approach towards every individual. Our Machine learning course starts from the basic scratch and includes all the important topics which come under Supervised and Unsupervised Learning. In this machine learning training program, you will effectively learn about the tips and tricks of Machine learning techniques.Our Machine Learning Center in Chennai is ranked as the No.1 Training Institute for Artificial Intelligence and Machine Learning. As an individual, after completing your Machine Learning certification at Credo Systemz you will learn to automate your systems to perform on its own.To know about our machine learning course fees and to book a free demo session please fill up the quick enquiry form. Value of k - overview. Detailed instructor led sessions to help you become a proficient Expert in Machine Learning. Build a Machine Learning professional portfolio by working on hands on assignments and projects. Lifetime access to downloadable Machine Learning course materials, interview questions and project resources. 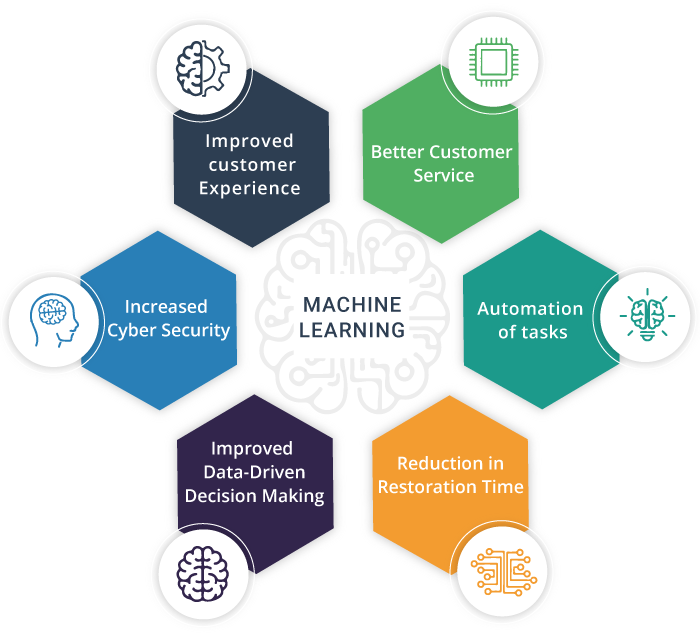 Why join Credo Systemz for Machine Learning ? Credo Systemz ranked as the No.1 Machine Learning Training institute in Chennai, and have successfully trained 1500+ IT professionals. Our trainers demonstrates every concepts through a hands-on approach, using which you can apply machine learning techniques to solve real world problems easily. Complete Hands-on Machine Learning training in Chennai with 100% Placement Assistance. To cater to any special needs of the candidates, we offer Online Machine Learning Training program as well. 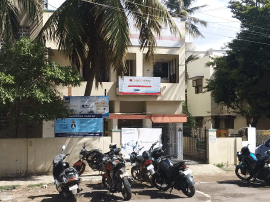 Ranked as Best Machine Learning Training Institute in Chennai providing best Artificial Intelligence and Machine Learning training in the city with nominal course fees. Above all, attend the 1st session for free !! To know more about our Machine Learning course you can also attend our free Machine Learning workshop or demo session and discuss with our consultant to know about the topics, case studies and live Machine Learning projects that is included in this training program. Prerequisites to learn Machine Learning ? What is the course duration for Machine Learning Training? Regular classroom based training: It takes 45 hours of machine learning course. Fast Track (1-1 : Machine Learning crash course in Chennai ) : 15 days. Online training - please send us your request to info@credosystemz.com or call +91-9600112302 / 98844 12301. 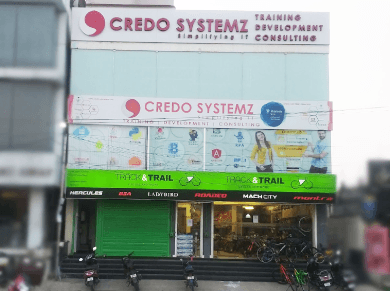 Why choose Credo Systemz for Machine Learning Training in Chennai?